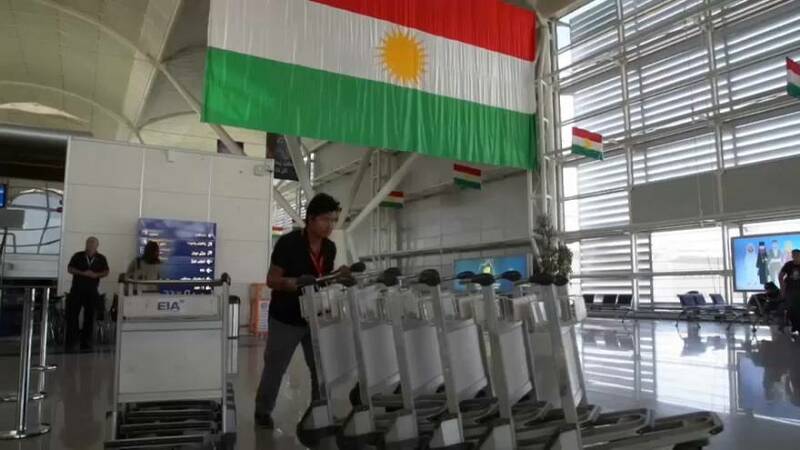 The director of Erbil airport in Iraqi Kurdistan says she has been told by Baghdad that all international flights will be banned from six pm local time on Friday. Airlines including Middle East operators were already beginning to cancel flights on Wednesday. Long lines of travellers have built up at the airport wondering if they would be able to get away, and NGOs and relief agencies are worried the ban will slow down refugee aid. The Iraqi government told the Kurds they had until the Friday deadline to allow central government control of the Kurd’s two airports at Erbil and Sulaimaniya, or face an embargo. Not everyone is upset. One holidaymaker seemed almost to look forward to an extended trip. “Yes, we might get stuck in Turkey, but the Kurds have a saying: it all depends on God,” said one woman. The embargo is among Baghdad’s first concrete responses to the Iraqi Kurd’s referendum on independence, which mobilised 92% support.